Matthew S. Ablan is a guitarist and music educator in Charlotte, North Carolina. He began studying the guitar at age twelve with Richard Rabatin in his hometown on Long Island, New York. 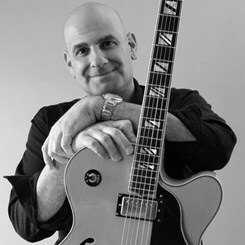 Mr. Ablan received his bachelor’s degree from SUNY Stony Brook where he studied guitar with Jerry Willard and holds a master’s degree in guitar performance from The Cleveland Institute of Music studying with both John Holmquist and 2015 GRAMMY winner Jason Vieaux. Additionally, Matthew holds a master’s degree in music education from Case Western Reserve University. A devoted teacher, Mr. Ablan is the former adjunct instructor of classical guitar studies at Allegheny College in Meadville, PA. He has also been a guitar instructor at both the Fairmount School of Music in Cleveland Heights, OH and The Broadway School of Music and Arts in Cleveland, OH. Matthew is the founder/author of The Guitar Teaching Blog - a monthly blog dedicated to guitar pedagogy and education. As a performer, Mr. Ablan has an eclectic background - he has: been the staff accompanist on Flamenco guitar for the Fairmount Fine Arts Center in Russel, OH, performed as the guitarist for Gabriel’s Horns (a praise big band) in Cleveland, OH and is the former music director/guitarist of The Lake Norman Big Band in Cornelius, NC. Currently, he performs in and around the Charlotte, NC area as part of the Matt & John Acoustic Duo and Ten String Theory.